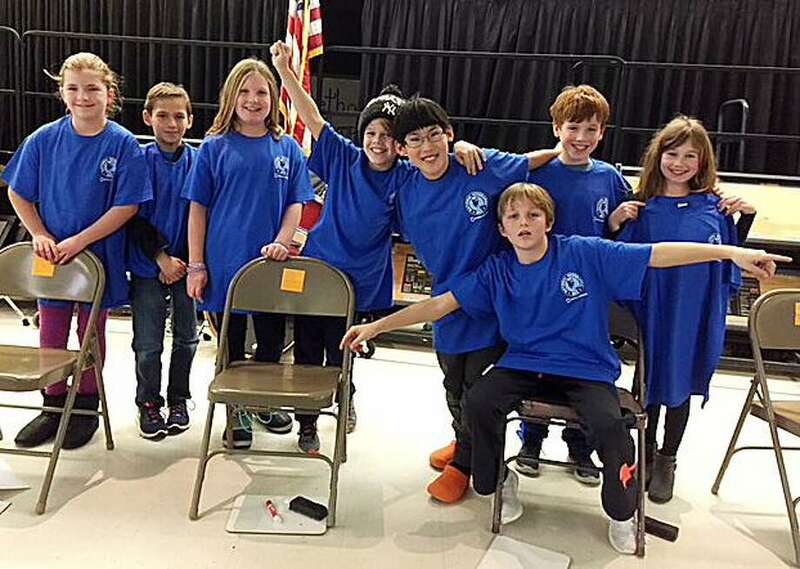 Ox Ridge School recently conducted a Geography Bee for fourth- and fifth-grade students. Employees from Darien-based APTMetrics, a human resource consultancy, kicked off their annual nationwide meeting at Wee Burn Country Club in Darien Jan. 18 with a volunteer effort to support Pacific House emergency shelter. Employees from across the country gathered together and assembled hygiene kits filled with essential toiletries for the shelter’s clients. The group made over 600 hygiene kits, each including a washcloth, comb, deodorant, shampoo/body wash, toothbrush, toothpaste, shaving cream, razor, and a handwritten note wishing the recipient well. A fundraiser to support the Pacific House Young Adult program will be held Feb. 23 at the Hyatt Regency Greenwich Hotel. Attendees will enjoy delicious dessert and food tastings, great music by talented musicians from local high schools and special performances by Javier Colon, winner of The Voice. Pacific House, formerly named Shelter for the Homeless, is the only regional men’s emergency shelter, serving Greenwich, Stamford, New Canaan, Darien and the rest of Fairfield County. Frank Hu, a fourth-grader in Toni-Ann Rongoe’s class, was the winner, outlasting the runner-up Harry Whitney, a fifth-grader in Chris O’Connor’s class. Kate Massey, a fourth-grader in Sarah Sproch’s class, was the third-place finisher. Her brother Will also competed, which marked the first time two siblings had competed against one another in the Ox Ridge School Bee. Next, Hu will take a test that will determine whether he qualifies for the State Geography Bee competition in a few months. There is also a National Geography Bee, as well, for state winners. All of the competitions are sponsored by the National Geographic Society with the goal of promoting geographic education. Ox Ridge fourth- and fifth-grade teachers helped administer the bee, with assistance from Barbara Ivey, a longtime Geography Bee coordinator for Darien Public Schools. As a treat for the participants, there was a special guest at this year’s competition: Michael Borecki, a recent Darien High School graduate who previously won the Connecticut State Geography Bee three times and was also a finalist on the Jeopardy! Teen tournament in 2016. The following Fairfield University students received undergraduate dean’s list honors for the fall semester: Darien’s Kristin Emily Gallo and Anne Maria Johnston. In order to be placed on the dean’s list, students must have completed a minimum of 12 credit hours in a semester, have no outstanding or incomplete grades for that semester, and have attained a semester grade-point-average of 3.50 or better. Jordyn Keegan, of Darien, a student in the College of Arts and Sciences of the University of New Haven, has been named to the dean’s list for fall 2017. Keegan is working on a Bachelor of Arts in interior design with a concentration in pre-architecture. Named to the dean’s list at Saint Michael’s College for the fall semester was John M. Eng, a junior psychology major who is the son of Jeffrey Eng and Susan Eng, of Darien, and a graduate of Darien High School. Worcester Polytechnic Institute (WPI) announced Kelly Vodola, of Darien, a member of the class of 2019 majoring in chemical engineering, was named to the university’s dean’s list for academic excellence for the fall semester. The criteria for the WPI dean’s list differs from that of most other universities as WPI does not compute a GPA. Instead, WPI defines the dean’s list by the amount of work completed at the A level in courses and projects. Lorena De Caprio, from Darien, has been named to the University of Delaware’s dean’s list for the fall semester. To meet eligibility requirements for the dean’s list, a student must be enrolled full-time and earn a GPA of 3.33 or above for the semester. Michael Conroy, a resident of Darien, has been named to the Emerson College dean’s list for the fall semester. Conroy is majoring in media arts production. The requirement to make Emerson’s dean’s list is a GPA of 3.7 or higher. Dean College in Franklin, Mass. announced Sean Doran, of Darien, has earned a place on the dean’s list for the fall semester. Emma Janson has been named to the dean’s list for the fall semester at the University of Vermont in Burlington. Janson, from Darien, is majoring in wildlife and fisheries biology in the Rubenstein School of Environment and Natural Resources. To be named to the dean’s list, students must have a GPA of 3.0 or better and rank in the top 20 percent of their class in their respective college or school. Four Darien natives were named to the fall dean’s list at The University of Rhode Island in Kingston: Spencer Jarecke, Holm Roeser, Laura McGee and Sean McKay. To be included on the dean’s list, students must have completed 12 or more credits during a semester for letter grades with at least a 3.30 quality-point average. The Everett Bulkley Trust has awarded a $20,000 grant to Person-to-Person for general operating support. The unrestricted gift will be used to fund the area of greatest need at the agency. This is the second year JPMorgan Chase Bank N.A., Trustee of the Everett Bulkley Trust, has approved a grant for Person-to-Person. Person-to-Person, which provides low-income individuals and families living in lower Fairfield County with basic emergency services, has offices in Darien and Norwalk. “Our Flag: Folklore & Fact” will be held Jan. 28 at 3 p.m. Did Betsy Ross make the first flag? Get the real story about our flag’s history with Susan Jerome, collections manager for the Historic Textile & Costume Collection at the University of Rhode Island.